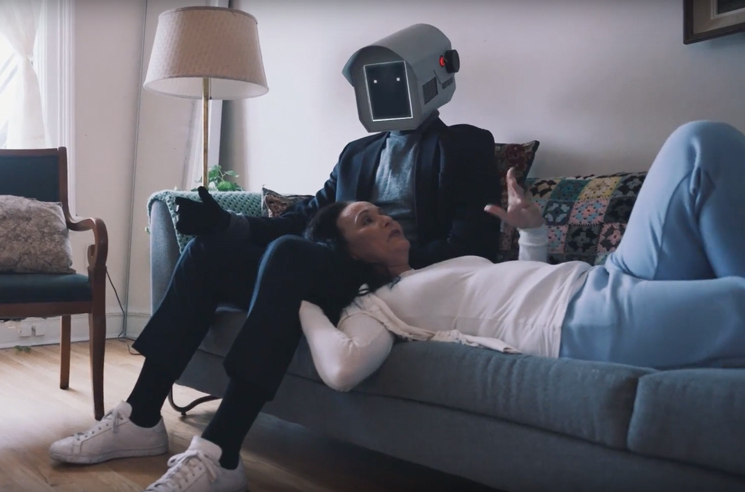 Our love lives have arguably become more robotic with the advent of technology, but Toronto trio Keys N Krates take such an idea even further in their new video for their Ouici-assisted "Love Again." Directed by Nathan Boey, the video shows a future in which artificial beings have the capacity to love, but aren't included by human society. The three-minute clip follows the relationship of a middle-aged woman and her struggles of having a robotic partner. This concept can barely be seen as futuristic at this point as humans have already formed quite the relationship with technology and androids are just around the corner, I just tried to keep the story as grounded as possible. I'm a big fan of Keys N Krates so it was awesome putting visuals to one of their tracks. "Love Again" appears on the Midnite Mass EP, which is available now via Dim Mak. Watch the video for the track in the player below.